I remember being so excited when Pardeep Singh Nagra won the Ontario flyweight amateur boxing championship back in 1999. 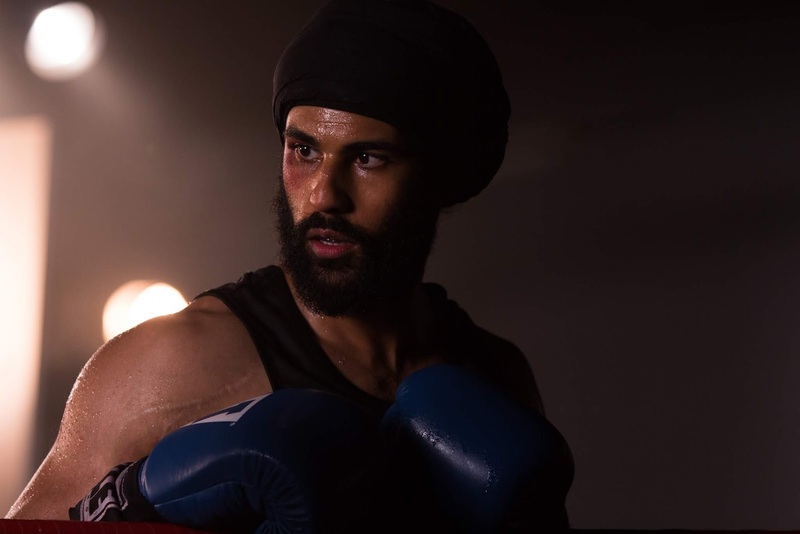 There was an overwhelming feeling of pride across the community, seeing this Canadian Sikh making it to the national level and potentially even all the way to representing Canada at the Olympics. Finding out he was banned from competing in the nationals because he was an observant kesdhari (bearded and turban wearing) Sikh was such a blow. The consequent human rights legal fight and victory was monumental, and his resilience and persistence throughout it all was awe-inspiring. Essentially, this is a story that needed to be told! 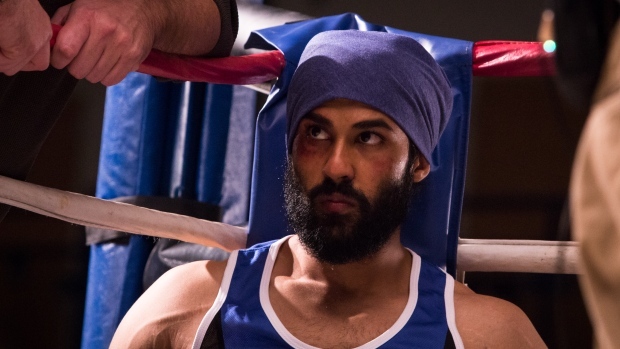 So, Prem Singh and Michael Pugliese did just that with the new film “Tiger,” a movie for which they wrote the script and pushed hard to get made. 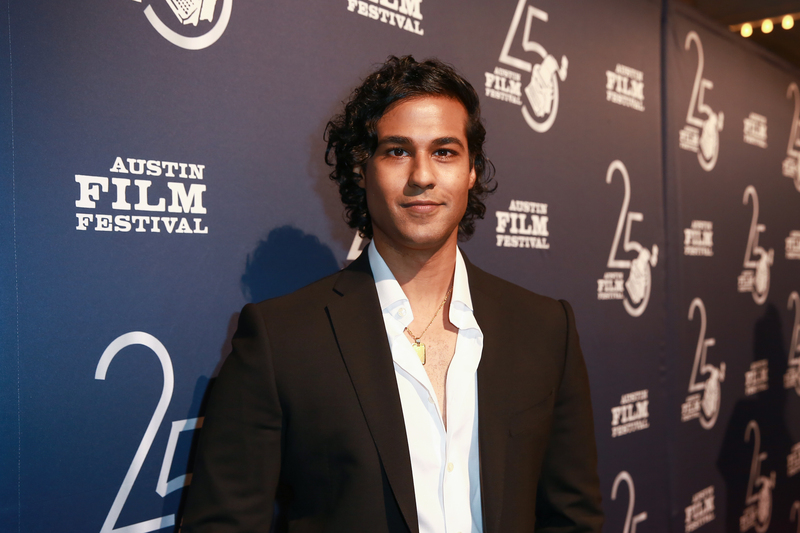 We had the opportunity to sit down with Prem Singh, who are stars in the feature, to hear all about it. How did it feel having “Tiger” premiere at the San Diego International Film Festival, and then to top it off, have it go on to win the Best Feature Film prize? Prem Singh: Numbness, I had total numbness, I didn’t know where I was, what I was doing or where I should go. But overall, it’s a fantastic feeling, to know that our film won, and to know all your hard work and dedication to such an important subject was recognized. What was also special was that in the audience when we screened the film the theatre was packed and not one South Asian was sitting there, and to get that kind of response on our type of film was truly rewarding. Seeing someone who looks like you and living your daily reality on screen is impactful for everyone, but especially so for young people and people from underrepresented communities. Pardeep Singh Nagra definitely understands this, he knew his case was bigger than just him and he continues to advocate for human rights in international boxing. I hope the monumental success of Black Panther and Crazy Asians this past year really drove home the point for Hollywood holdouts. Representation matters, and it requires diversity both in front of and behind the camera, given your unique position as both the lead and the writer of this film, what are your thoughts about this? Prem Singh: Black Panther and Crazy Rich Asians are beautiful films that send out strong messages. TIGER does the same. As a South Asian growing up, trying to audition for roles, I would always go out as the stereotype, and there is nothing wrong in that. I personally wanted to do something different and create something special, so Michael Pugliese (Co-Writer and Actor of TIGER) went out and created something not just for the community but for other communities as well. To me representation matters, and on Nov 30th I hope we all can go out as a community and represent because this could be our moment to be added to that list of diversity in Hollywood. On that note though, when you and Michael Pugliese began writing this movie back in 2010, given Hollywood’s well-known diversity problems (#oscarssowhite and now with Times Up and the #MeToo movements) did you worry about how you would “sell” it to producers and audiences alike? And how did you plan on getting buy-in from producers? Prem Singh: We had an important message to spread. Now It is the entertainment business and we made sure we studied the business from an economical stand point. We also proved that there is a massive market for this. Diversity was always our main sell as well as making a great film. At the end of it all, you have to make a great film that people will enjoy, and that was our goal from day one. So, no matter the race, the culture, the sexual orientation, TIGER sends a universal message and that is standing up for what you believe in. I believe we need to tell our own stories, and quite frankly if we don’t, either they won’t get told at all or they will be retold without all the parts that really make them ours. His story needed to be told. How did you include Pardeep in the process of the film to ensure you got his story right? Prem Singh: Pardeep was very supportive from the beginning and when it came to telling his story, we stayed true to his entire journey from starting to box until his big fight. He was very helpful in telling the story. However, he stayed away from the creative aspect of the film, and he wanted us to tell his story. Our director Alister Girerson, told a very human story about Pardeep and is intenal struggles he faces which makes this film very compelling. A follow up question for you. How did it feel to play him on screen knowing that if you didn’t get it right he and the rest of us are here watching you? Were you even a teeny tiny bit nervous? Prem Singh: Very Nervous! When I spoke to Pardeep about the film he told me 2 things, 1. “Don’t give me an accent”, and 2. “Don’t make me look stupid” So from an actor’s perspective, I studied him watched tapes of him, and I even trained with his boxing coach, Dewith Frazer to get the right fighting style. My goal is to make Pardeep proud, and he has seen the film and he is! So, a big weight lifted from my chest! Had you ever boxed before this film or is it something you had to learn? Prem Singh: I have never boxed before this film, as Michael and I were writing this we started to train boxing, because we knew that one day we will be going to camera. So, we would train 5 days a week, sometimes twice a day to make sure we were in the best shape of our lives. We here at Brown Girl Magazine really understand the value of the hustle. You have to work hard for what you want, and oftentimes, because of systemic barriers, even harder. Pardeep didn’t just have to train to beat the opponent in the ring, he was up against a system set up against him, and still he prevailed. You and Michael too are serious hustlers. I understand that you pitched the film to Mickey Rourke directly, and I’ve read the short version, I want to know the details though. How did you guys get him to say yes? Prem Singh: Michael says everywhere that I “Stalked” him! So, since he’s not here to defend himself, I’ll say, for the record that I didn’t Stalk Mickey Rourke, we BOTH found out where he trained and went to his gym at Wild Card boxing in LA and waited for him!! LOL take it any way you want! We wrote the film for Mickey, and for someone who is not only a great actor but was a pro boxer as well, he was a perfect fit. So, when we saw him, we pitched him the project and just talked about the issues and our goals as filmmakers and the rest was history. The film opens in theaters on November 30th. What is the most important thing that you hope that audiences come away with? Prem Singh: Come out and represent! I not only made this film for everyone, no matter what culture, race, religion, I made it through the lens of a Sikh man! So as a community we might not get an opportunity like this again. So, on Nov 30, at the Courtney Park, and Yonge and Dundas locations, come out, and watch a great film that will make the entire community proud, I say let’s make history together! I’ll be watching at the Courtney Park Mississauga location near my hometown of Brampton, to no doubt a full house given the buzz around the community, will you and any of your colleagues be in town, too?! Prem Singh: I will be in Toronto/ Mississauga/ Brampton doing press, so you never know where I will be! Come out opening weekend, I might meet you guys there. TIGER releases in select theaters on November 30, 2018 in New York, Los Angeles, Toronto, Mississauga, and Vancouver. Come out and show your support for the story and diversity in film. More representation is good for us all. 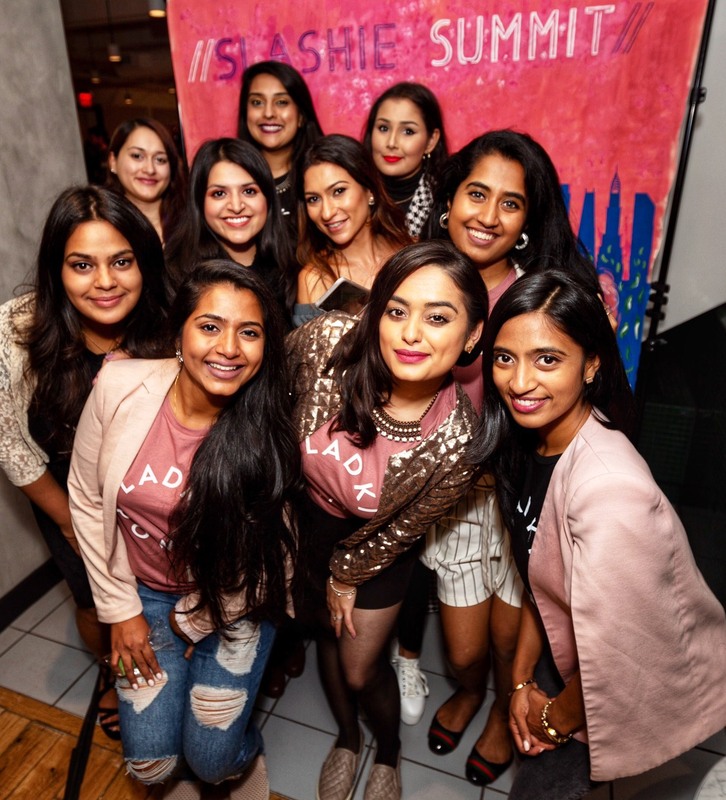 Sundeep Hans was born in Toronto, raised in Brampton, with a slight detour via Punjab. 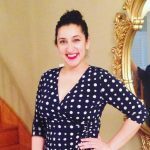 She’s a social justice activist, connector, and community activator, collaborating with clinical and community leaders on initiatives around diversity, equity and inclusion in the region to reduce barriers for health care access in vulnerable populations. She has a Master’s degree in Global Diplomacy from the School of Oriental and African Studies, University of London, a Bachelor’s degree in History from the University of Southern California. She loves to read, travel and talk to anyone every chance she gets. SRK’s Daughter, Suhana Khan, On the Vogue India Cover – Has Nepotism in Bollywood Gone Too Far?